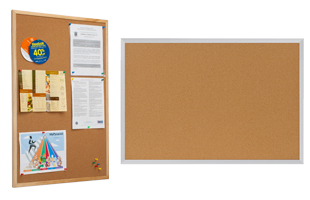 Corkboards are bulletin boards for all types of businesses, educational or community centers. If you own a business, run a school or manage a community center you are looking for a great way to organize shareable information. Our corkboards come in a wide variety of sizes to choose from. These message boards are made out natural self healing cork. 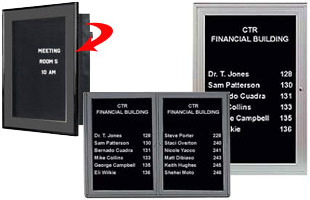 These tack boards, information pin boards enhance any message for everyone to see. Cork boards come in many styles and sizes to suit all needs. The classic bulletin board look is great for schools, or dorm rooms. 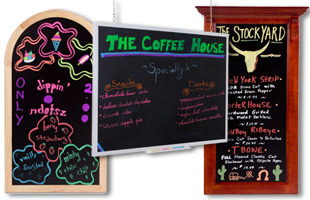 These message boards and corkboards are a suitable tool to display notes, messages, graphics or requests. 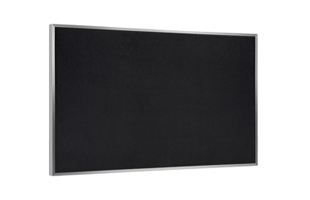 Our notice boards add a simple and classic bulletin panel to your office or classroom. An oak or aluminum frame board blending with any décor enhances the cork. 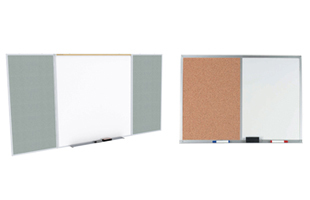 Cork boards add an efficient & durable panel to any office. 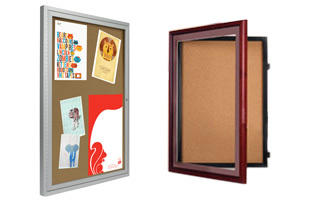 We sell framed cork boards, such as fabric bulletin boards, combination boards, outdoor announcement boards, & message corkboards for any office vestibule, conference room, or cubicle. 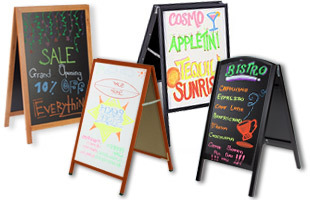 These cork boards can be utilized by supermarkets and convenience stores to hang special & sales information. Bulletin board applications are unlimited! Place a board by an entry door at a library or restaurant to welcome people's postings. Tack colored announcements, pictures or graphics to promote a service or a sporting event. These corkboards exhibit rosters & game schedules. 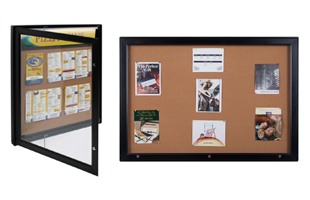 Enclosed bulletin boards come in three variations. All corkboards are made out of high quality materials designed to last. 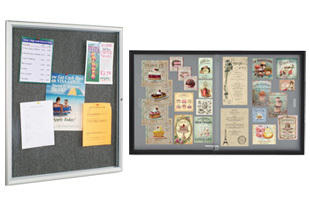 We offer indoor, outdoor & fabric covered bulletin board. These corkboards have a single or double door. The majority of them also have a locking mechanism for added security. The newspaper displays and swing systems were designed to match upscale environments. A message board with a looking door maintains your notes untouched and clean. Fabric boards are regular cork covered in stylish material for a more upscale look. These units have one, two or three doors to choose from. Tack boards are very functional. We also have free standing single or double dry erase board. These bulletin boards are floor standing units. They have two locks per panel. This cork easel stand can be relocated at will. Freestanding outdoor message board gives you the freedom to place it anywhere needed. Cork bulletin boards are an efficient way to communicate important information. We offer several types of framed bulletin boards.Combination message boards look perfect in buildings vestibules & mall entrances. 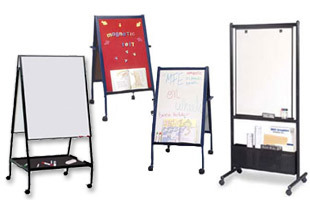 Combination dry erase boards are sold in maple, diamond plate or black finish and half of dry erase boards. Our combination message boards exhibit art or graphics while encouraging take home information. Information boards paired with whiteboards are a simple but useful match. Very popular, message boards allow teachers to write a message while adding an illustration. 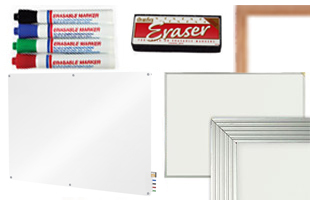 Besides the products on this page, Displays2go has a huge selection of assorted letter boards, dry erase marker boards & presentation easels. Our stock also includes outdoor bulletin boards & outdoor letter boards that are weather resistant & lockable. Our letter boards are all compatible with our changeable letter sets. These letter boards, including countertop, wall mount open face, enclosed, exterior & sign stands, are a great addition to resorts, marinas and churches. Messages couldn't be easier to change while remaining clearly posted. We offer an upscale sign board for your lobby directory. The beautiful crafted frame swings open. Their deluxe finish will draw attention to your message. Don't settle for an eye sore. Our products will meet your needs while enhancing your decor! If your needs go beyond the items seen here, Displays2go sells more than 4000 display products. We specialize in manufacturing POP, Retail and Trade Show displays. Our inventory is the largest in the country. 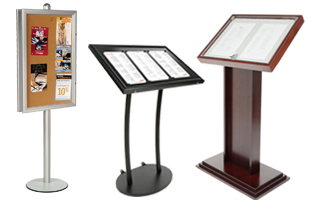 Displays2go is always including innovative and affordable items to the catalog. Buy online today!